In contrast to the claim that refugee law has been a key in guaranteeing a space of protection for refugees, this book argues that law has been instrumental in eliminating spaces of protection, not just from one’s persecutors but also from the grasp of sovereign power. 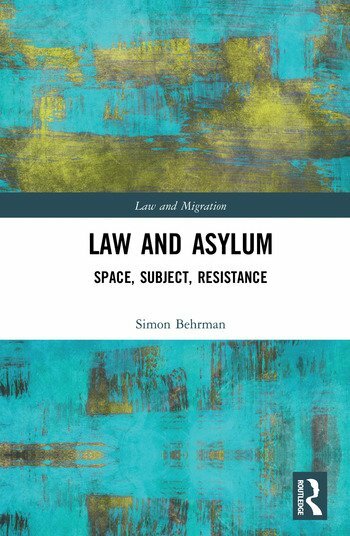 By uncovering certain fundamental aspects of asylum as practised in the past and in present day social movements, namely its concern with defining space rather than people and its role as a space of resistance or otherness to sovereign law, this book demonstrates that asylum has historically been antagonistic to law and vice versa. In contrast, twentieth-century refugee law was constructed precisely to ensure the effective management and control over the movements of forced migrants. To illustrate the complex ways in which these two paradigms – asylum and refugee law – interact with one another, this book examines their historical development and concludes with in-depth studies of the Sanctuary Movement in the United States and the Sans-Papiers of France. The book will appeal to researchers and students of refugee law and refugee studies; legal and political philosophy; ancient, medieval and modern legal history; and sociology of political movements. Simon Behrman is lecturer in law at Royal Holloway, University of London.